Sometimes messages find you when you need them. This was one of those times. 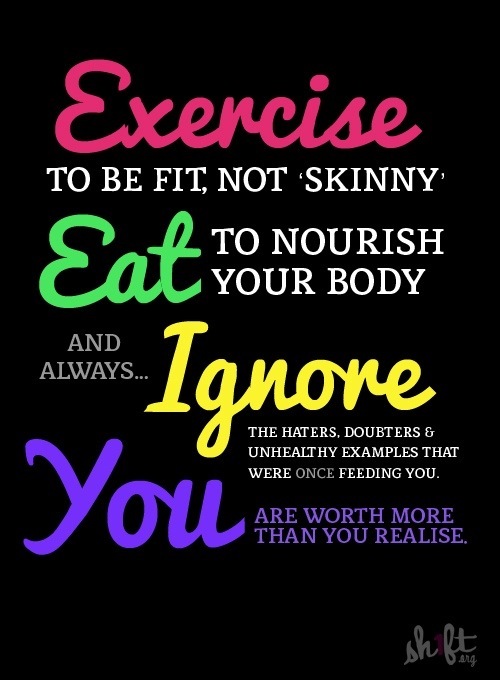 I love working out and try to focus on the awesome feeling(s) it gives me… but I am human and it’s hard not to measure my fitness success with my weight. I hurt my ankle the other day during my 7 mile run (which I did in an hour by the way! Ekkkk! I am so excited about that especially considering where I was when I first started training) and was worried not about healing my ankle but about how an injury could negatively impact my weight (worries like, “oh no! I can’t run. I need to eat less to maintain my weight and blah blah blah). Silly right? I think so too. I am redirecting my energy to where it needs to be: getting healthy (mentally as well as physically) and feeling good about myself and not the number on the scale. 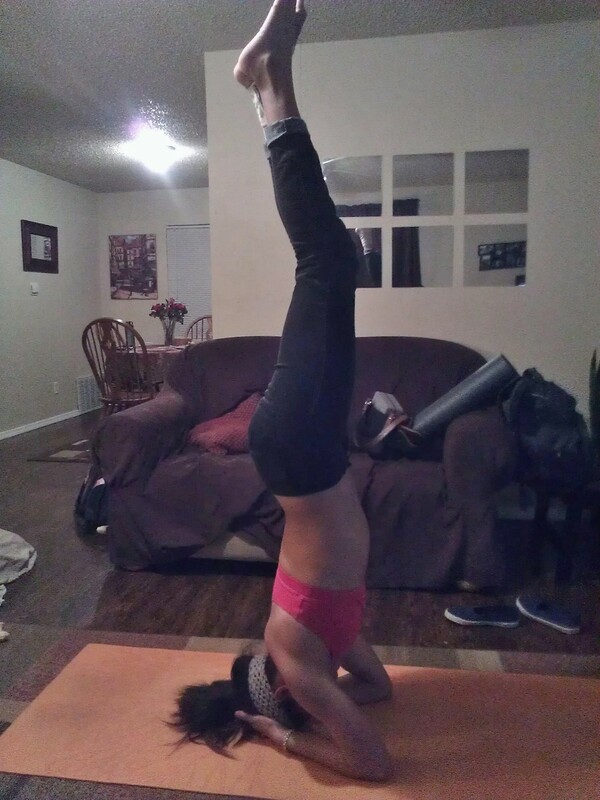 I am redirecting my energy to being body positive, eating well and getting off that dang wall when doing my yoga head stand. P.S. I am not eating less. I enjoy my food way too much. Plus how can I post recipes if I don’t try them? P.S.S. I am obsessed with studded/ embellished collared shirts! Your stands look great! On my goal list for the year. 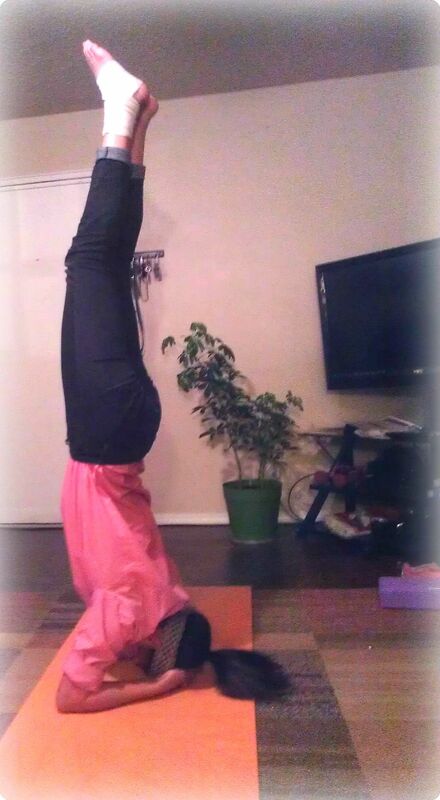 Awesome post (and headstand- YEAH LADY)!!! This is a mentality that I struggled with for years and was never satisfied with my weight no matter how small the number on the scale was because I wasn’t healthy in my mind. This is a great mentality to get out there!! You look awesome and happy!! Thank you much! I seriously appreciate it. I struggle with the scale issue but am really trying not to measure myself based on a number. I feel great and I feel strong! No number can take that away. Your yoga moves inspire me btw! You seem so happy, relaxed and into your poses! Hi there, I found your blog via Google while searching for a comparable topic, your site got here up, it appears great. I have added to my favourites|added to bookmarks.